Peaceful & private country setting with nature & wildlife all around. 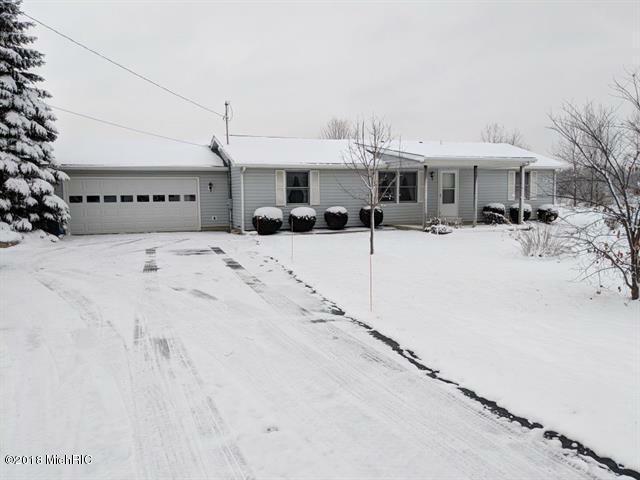 Move in ready handicapped accessible ranch style home featuring an open floor plan, spacious master suite with a new walk in jetted tub, 2 additional large bedrooms, 2 full baths. Attached 2 car garage, 30 x 40 pole barn, cement floor & wood stove. Just over 5 acres... food plots in place that draw turkey and deer.